The six pillars represent critical competencies of a successful college experience, career and life. Oklahoma State University encourages students to maximize their opportunities for growth while in college - both in and out of the classroom - and across numerous dimensions. Below is a brief description of each pillar. Academic Excellence is a limitless and unending process to develop intellectual capacities which can be enjoyed for a lifetime. At OSU, students will learn content in their chosen field and will also have an opportunity to master the broader tools of scholarship, the habits of attention and concentration, the ability to follow arguments and engage in rational debate, and the ability to participate in intellectual exchange. At OSU, students are invited to exercise academic excellence through undergraduate research, service-learning, engagement in specialized coursework, and a host of other opportunities. At OSU, students will lay the foundation for life as ethical and informed leaders in their profession, family, and community. Preparation for a role in an increasingly complex, globalized, and diverse 21st century society requires creativity, problem solving, the ability to collaborate with peers, develop wisdom, communication skills, vision and values. OSU boasts scores of developmental leadership opportunities in clubs, sports, student organizations, student employment, and for-credit leadership coursework. As a land-grant institution, service to others is the very essence of our university’s ethos. 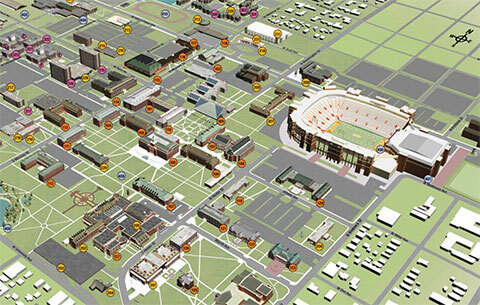 This mission is reflected in OSU’s designation as a Carnegie commission civically engaged campus. Students are often profoundly impacted by taking advantage of service-learning courses and volunteer opportunities both on and off campus. OSU hosts campus-wide community service events each year and our students annually log thousands of hours of volunteer service helping non-profit agencies in Stillwater and members of the community at large. Civic engagement can involve voting, political activism, hearing major public figures speak, and joining conversations about state and national issues. Students can keep track of service and leadership experience throughout their academic career. Many graduate programs and employers look for such experience in addition to discipline-based knowledge. What are you passionate about? Your success will be greatly enhanced by finding a major (primary area of study), minor (secondary area of study) and co-curricular activities that you find challenging and compliment your interests and abilities. Part-time employment and internships can help you figure out whether you might enjoy a given career field. OSU’s vast array of curricular and co-curricular offerings will help you discover your purpose and passions. If you do not know what you want to do with your life, you are not alone, and we can help! The university environment encourages students to examine diversity through language, art, music, and human interaction. OSU is committed to significantly increasing the number of students participating in short and long-term international and study abroad experiences. The ability to live and work with people with different ideas and experiences enhances employment in all fields. The concept of wellness encompasses physical health, mental health and safety. Wellness is not just the absence of disease. OSU wants to be the healthiest campus in America and to that end offers state-of-the-art recreation and wellness facilities to get you - and keep you - in great shape. OSU offers a state-of-the-art recreation facility, a nationally accredited student health center, and a wide array of health education classes, huge intramural team sports and outdoor adventure programs. Our counseling staff can help with stress management, roommate and relationship issues, study strategies and career decision making. OSU recognizes that safety is everyone’s responsibility.